Bluebird Café in White City is giving Hot Dinners readers the exclusive offer of free bottomless bubbles to mark the launch of their new brunch menu. Situated at the iconic Television Centre, be prepared to indulge with friends as you tuck into heavenly dishes by Executive Chef Simon Gregory. On the menu, guests can enjoy starters like delicious grilled prawns with garlic, parsley, tarragon butter on toasted brioche as well as brunch classics of avocado, poached eggs and cornbread with hot sauce and coriander. Treat yourselves with mains including lobster and prawn roll with thousand island dressing, brioche and fries, an impressive 240g angus flat iron steak with garlic anchovy butter and an inviting plate of black truffle spaghetti with parmesan and shaved truffle. For dessert, give into temptation with English classics including sticky toffee pudding with hazelnut ice cream and bread and butter pudding with raisins and brown sugar ice cream. Start your weekend in style and take advantage of this exclusive offer. 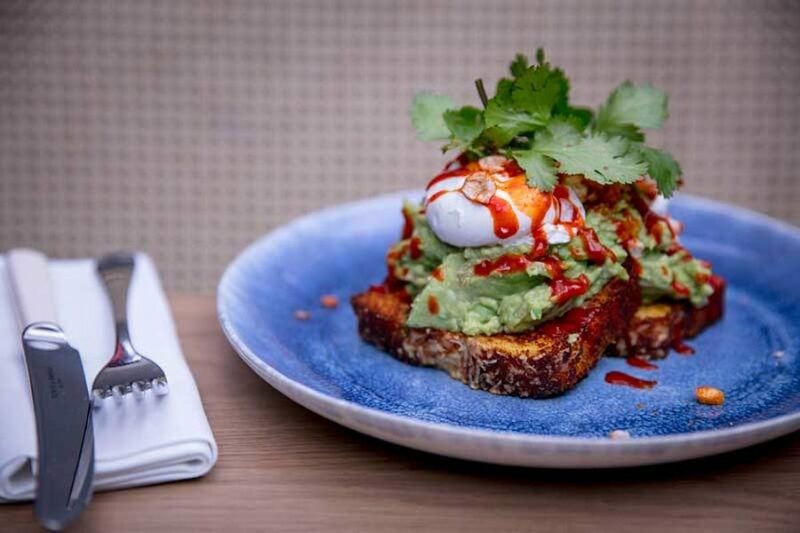 Hot Dinners readers will get free bottomless bubbles when they book brunch at Bluebird White City between 5 February and 2 March 2019. Bookings must be made via the phone or online at www.bluebirdcafe.co.uk quoting ‘Hot Dinners’ in the reservations notes. Offer valid from 5 February - 2 March 2019 inclusive - weekends only.